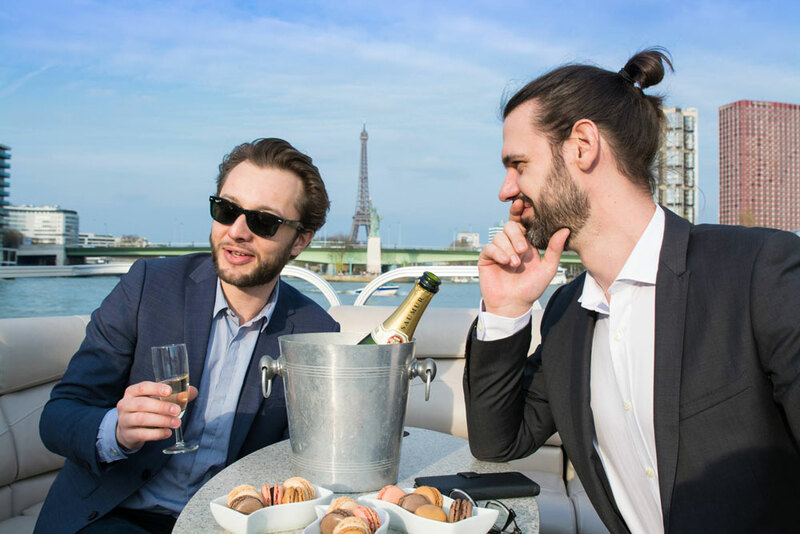 Reward your employees and get your teams together with an unforgettable cruise on the Seine. You want to organize an extraordinary event with your partners ? Offer them a cruise on board a private cruise o (re)discover Paris and experience a relaxed moment among colleagues. You will be comfortably seated in a serene setting, friendly and conducive to exchanges. No matter what kind of event, end-of-year meal, celebrating a professional success, promotion, farewell party, team-building, this original service will tighten the links among your teams. • A very original way to approach a business meeting in a relaxed way. • A great alternative to the traditional business meal. • Among professional with all the necessary privacy (the skipper signs an NDA). Length, boarding/unboarding of your choosing. You have a specific request? You want to make a reservation?